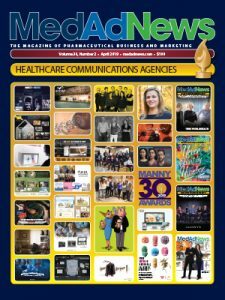 PharmaLive > Issue Archives > February 2016 > Can you really manage your own information? Can you really manage your own information? Unsurprisingly, the pharmaceutical industry is working through many of these types of scenarios. Having flourished for decades on a steady diet of doing things basically the same way, this intrinsically conservative, slow-moving juggernaut of a sector has been thrust into finding alternatives that will enable them to maintain an edge in the face of advancing technology, shifting priorities and evolving expectations. One such function that might benefit from a little more self-scrutiny is information management (IM). Most companies continue to commit significant amounts of budget and resources to data. But are they getting enough value from that commitment? Are they approaching IM in a way that even makes sense? There’s an argument to suggest that pharma companies are continually trying to reinvent the wheel, and with limited success. It’s the equivalent of milking a cow to make a latte, or trying to generate your own electricity – there are already people who do those things well, so that you don’t have to. Could the pharma IM function, then, be streamlined and improved by essentially outsourcing the lion’s share, allowing valuable resources to be redirected towards more progressive, productive uses? By taking such an approach, companies are prone to committing a number of analytical “cardinal sins.” One, they often buy the same data sets multiple times across different divisions. Two, they often fail to share the data across their vertically designed organizations, whose incentive models are not conducive to sharing. Three, their key performance indicators are inconsistent, and so everybody is looking for different things and in different ways. And four, they are not pulling in the various data sources that will give them the most complete and accurate view of the customer. There are, no doubt, many others. Aside from helping to eliminate some of those cardinal data sins, what can a service approach to information management do for the pharma organization? An obvious benefit is that it can improve the quality of basic information. For example, in a multichannel, multistakeholder product launch, the most expensive component is likely still the face-to-face rep interaction with the doctor. But if an address is incorrect or outdated, or if the physician has changed her schedule and is not in the office on the day of a rep visit or no longer even works at that location, the cost can be significant. It is vital, therefore, to have systems capable of collecting such updates and pushing them to CRM systems in realtime to make sure that reps are alerted to changes. Another is the ability to measure, synchronize and respond quickly to customers’ actions. For example, in a digital marketing campaign, when a physician opts out of a particular email or topic or channel, it can be a valuable piece of information – but only if the data is being managed effectively. In this case, if the information reaches the rep in time, she or he can make it a point of the conversation in the next visit, and find out why the doctor opted out and perhaps discuss a more interesting and relevant alternative that he might want to opt into. Similarly, communication with an accountable care organization (ACO) might reveal that a particular doctor is on its formulary committee. Again, that is valuable information because if it is processed and fed back to the rep in time, they can develop a different type of conversation with the doctor, based on that information. Companies’ need for help has been exacerbated by a couple of major, ongoing shifts within the industry. The first relates to the post-blockbuster economy in which pharma now operates, which has led to something of a change of approach to business. This new reality of reduced resources means that companies must focus efforts on the “high-value” tasks and seek partners to deliver in other areas. The second shift pertains to the changing customer. For a long time, it was all about reach and frequency, seeing prescribers often. Now there’s a much more complicated picture of the customer, with the emergence of integrated delivery networks (IDNs), ACOs and the importance of communicating with payers – an entire family of caregivers. An alternative for addressing the IM gap is built on the notion of buying results rather than a collection of products and data sets. It’s about pulling together all of the a la carte assets and harmonizing them in a way that actually drives business value. It’s essentially the idea of standardizing information management as a subscription service that delivers a particular level of outcome based on chosen parameters – such as the stipulations that 95 percent of doctors’ addresses must be accurate, or that information must feed back to reps within two days, using the earlier examples. An information management “results solution” is comprised of the information asset itself, a storage capacity for it, and a set of compute applications that run on top of it, which together offer real time integration. The level (and price) of service is determined by a set of service-level agreements (SLAs), between client and provider, so essentially the client is paying for an agreed outcome. An audit system then makes sure that this SLA-defined outcome is being achieved. What, then, are the hurdles to adoption? Another hurdle is pharma’s historical instinct for control. However, Etwaru believes that, when it comes to data, ownership and control are two different beasts. “They all have their own copies of their data,” he says, “but the pharma company as an entity has no control over how that data is used to drive business value.” And that control comes from sharing data horizontally across vertical silos.